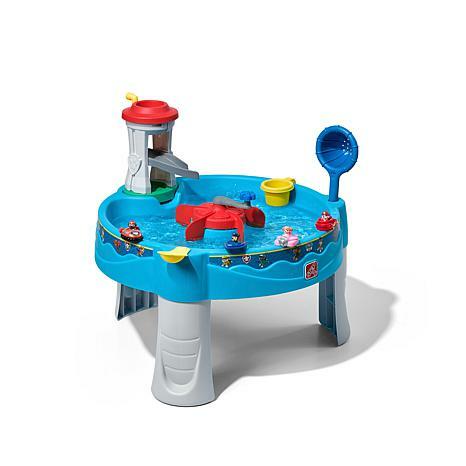 Little Paw Patrol fanatics will be wagging their tails for hours of fun with the Paw Patrol Water Table by step 2. This kid’s water table let’s little ones help Ryder look for doggies in the water through the periscope on top of Lookout Tower. Kiddos can make sure Ryder and friends speed off to rescue by sending pups down the water slide for a fast and fun way to start the rescue. 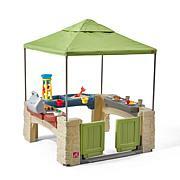 When water play is over, fill this kids play table with rice or beans for additional indoor sensory play! Made in USA of US and imported parts. 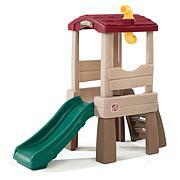 Use the Lookout Tower to look for doggies in distress and speed down the water slide to their rescue. Scoop, splash squirt and save the day with Ryder and friends! Soak the heroes with the water launcher; be careful as they’ll spray you back! 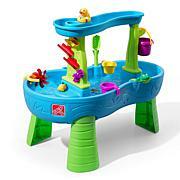 Paw Patrol themed water table includes 3 of your favorite characters. 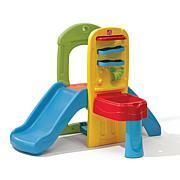 Item dimensions: 24.5x31.5x31.5 in. Age range: 1.5+ years. Limited 3 year manufacturer warranty 800-347-8372. This is perfect for my son's birthday! Had to use it in the house the day it was delivered! It was so cute watching him play in it.